The American Kennel Club (AKC) created the Canine Good Citizen (CGC) certification program to reward responsible ownership and canine good manners in the home and in the community. 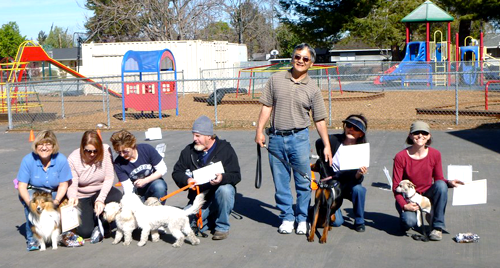 Our six-week class works specifically on teaching you and your canine companion how to have a wonderful relationship and how to present yourselves well in the community. On graduation day, you and your dog will have the opportunity to take the Canine Good Citizen test. All dogs who pass the 10-step CGC test qualify to receive a certificate from the American Kennel Club. Don’t worry, if your dog doesn’t pass the test on the first try, we also offer the CGC test on its own! The cost of the Canine Good Citizen Test is included with your class fee. A good investment in your Dog’s future. This class includes final CGC Test. When: Check back for upcoming dates. To hold your place in class please fill out the online registration form. A followup email will provide the secure payment link to PayPal to confirm your place.